A dirty, bug-splattered windshield is a safety hazard, as it obscures your view of the road. So give it a regular cleaning. Using the spongy part of the gas station squeegee, soak the whole windshield with the cleaning fluid. Then pull the squeegee tightly from the middle of the windshield to the sides, finishing off the remaining streaks by pulling it top to bottom. This is especially important after an extended drive on the highway when your windshield is littered with insect carcasses and using your car’s washing fluid and wipers to remove them only creates a big, smeary mess that obscures your line of sight even more. Maintaining proper tire pressure will keep you safe and even save you a little dough. Improperly inflated tires — and this may mean over-inflated or under-inflated — don’t handle or stop as well as tires with the correct pressure. They also increase your chance of a blow out. Plus, tires with the correct pressure have a longer life and increase your fuel efficiency. Motor oil is essential to your car’s performance. Its most important job is to lubricate all the moving parts in your engine so they don’t grind and tear themselves into dysfunction. It also transfers heat away from the combustion cycle and traps and holds all the nasty byproducts of combustion, sending it to the oil filter. 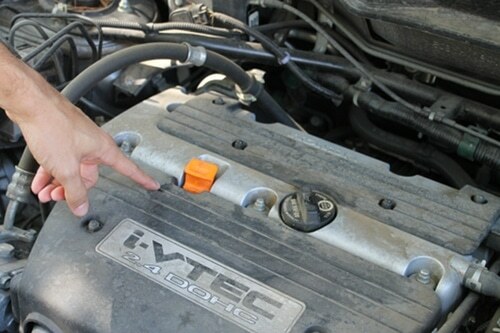 If your engine doesn’t have enough oil, your car is at risk of going kaput.